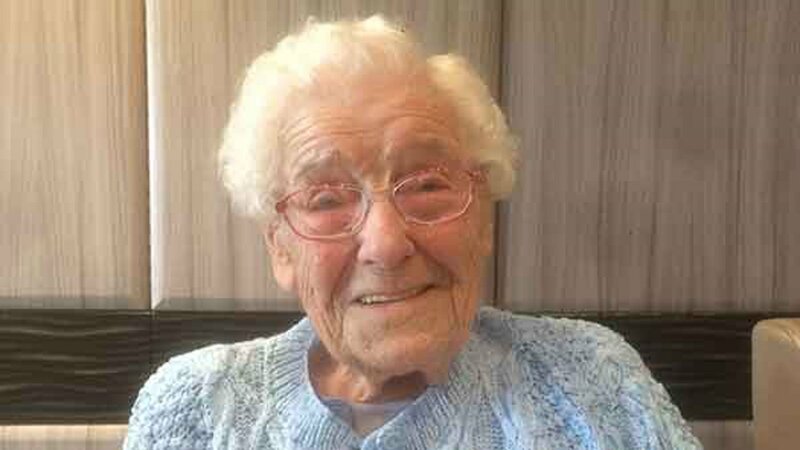 CRAWCROOK, England -- A few hunky firefighters helped make a British woman's 105th birthday wish come true. ABC News reports Ivena Smailes, known as Ivy in the senior home where she lives, had just one wish this year: she wanted firefighters at her birthday party. Thanks to workers at Addison Court Care Home in Crawcrook, England, she got her wish. Five firefighters from the Tyne and Wear Fire and Rescue Service joined Smailes at her party - and one even climbed through the window. "[Ivy] sends us little challenges for her birthday every year and this year she asked for firemen," said Debra Carter, who works at the senior home. "We had the local fire brigade come ... through the third floor balcony window. They were more than happy to help!" Around 40 of Smailes' friends and family also joined in on the fun, Carter said. "[Ivy] had a ball. She loved it," Carter added. "She's already said that next year she wants to meet Prince Harry."